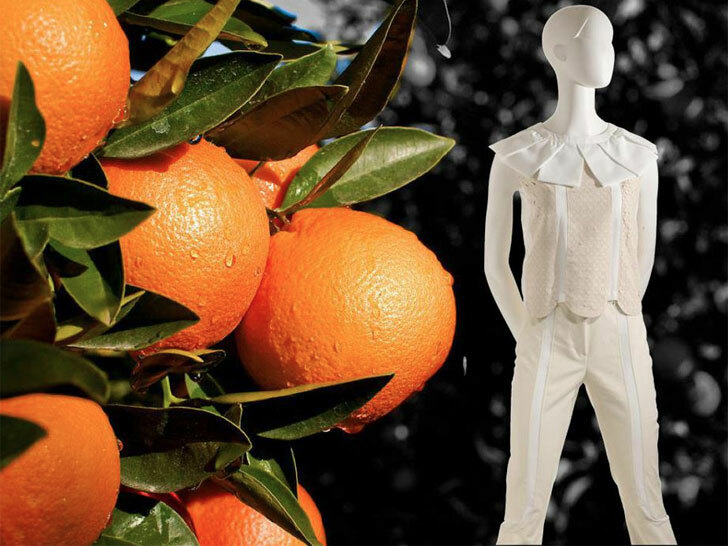 n 1 a: A textile fiber made by extracting cellulose from citrus fruits. b: Said to release vitamins A, C, and E upon contact with skin, a result of natural citrus oils that are embedded in the fabric. c: A solution to the growing problem of citrus-waste disposal in southern Italy. 2 a: Developed by a trio of student-entrepreneurs in collaboration with Polytechnic University of Milan. b: One of the 10 projects selected for the Changemakers Expo Milano 2015. 3 a: The primary material used in fashion designer Adriana Santanocito’s Fall/Winter 2012 collection. where can I buy Orange yarns?